Earlier today, I featured more of Paula Pryke’s floral designs at the Guildford Cathedral Flower Gala, which took place last week. At the gala, Wendy Andrade created a stunning exhibit which was inspired by the 60th anniversary of Her Majesty the Queen’s Coronation. 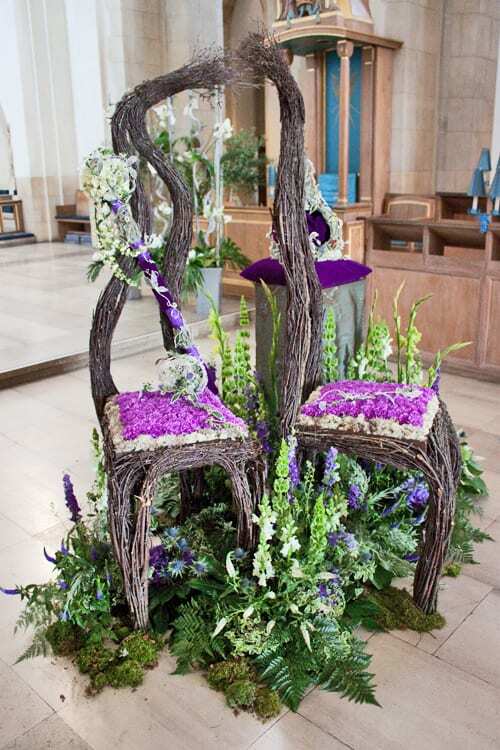 …but also these flower-adorned thrones. 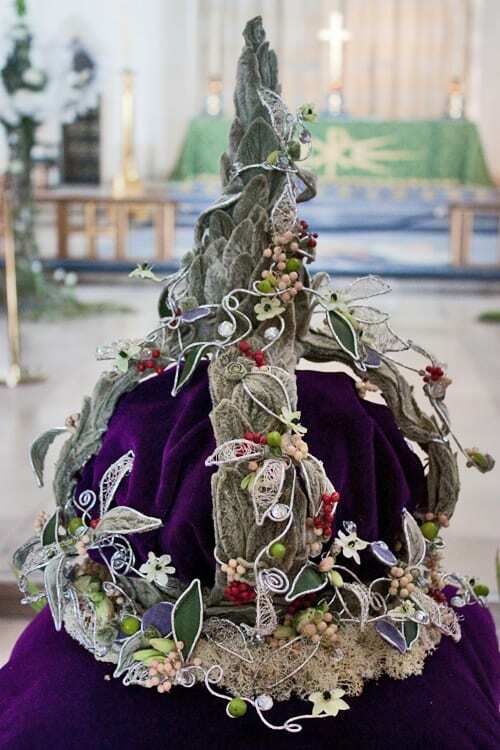 The crown was made using wire mesh and 400 freeze-dried stachys leaves, which were glued onto the wire frame. Reindeer moss was wired and glued around the base. 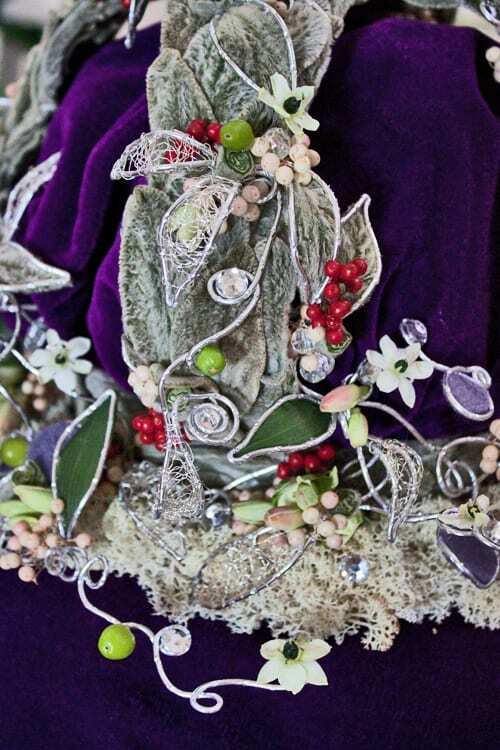 Then delicate wire structures were added, together with tiny flowers and berries. 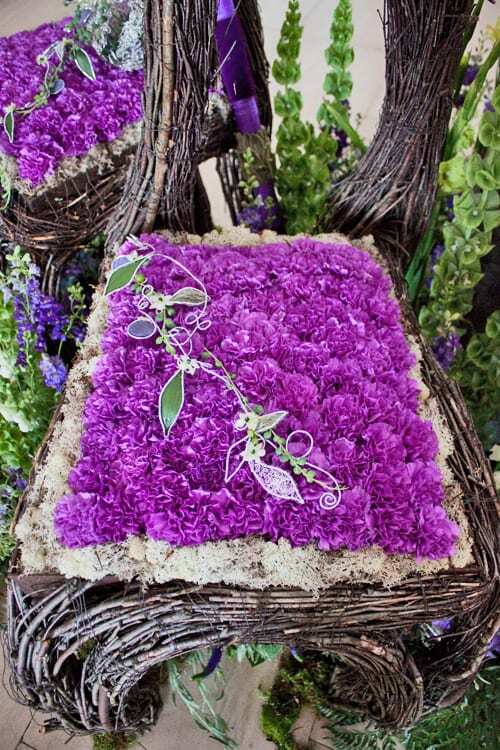 Carnations and reindeer moss were used to create the throne bases. Wendy is renowned for her beautiful flower jewellery. 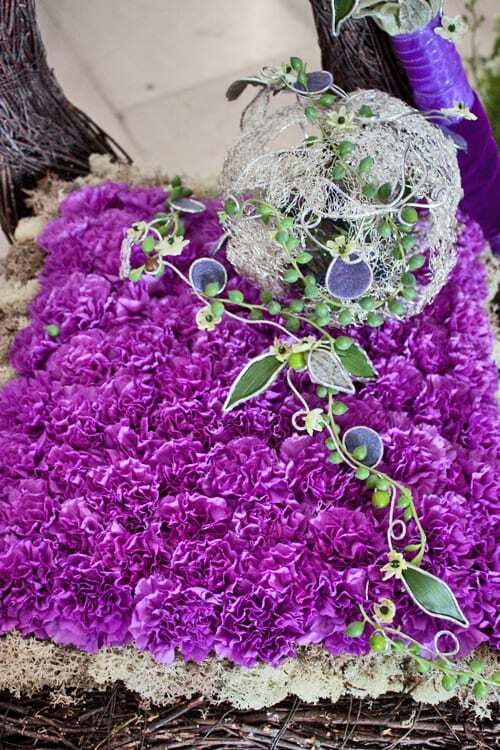 If you’d like to see more of her designs, she’s just written a book called ‘Fresh Floral Jewelry‘, which I’ll be reviewing on Flowerona shortly. This is a great blog Rona. Thank you . Great pictures too.